No surprise there, as the steaks and chops were sent to the recent shoot by John and Sukey Jamison of Jamison Farm. (We always try to acquire the very best food for the cameras, and they’ve been supplying Steven’s shows for many years.) Their contact info has been in the “little black books” of the country’s top chefs and restaurants for decades. Now, you can use the same lamb purveyor for your Easter or Passover Seder dinner as Alice Waters, Dan Barber, Eric Ripert, Tony Bourdain, Daniel Boulud, or . . . Steven Raichlen. Yes, the former high school sweethearts and English majors, hard-working farmers who were on the front lines of the Foodie Revolution, can name-drop with the best of them. “Jean-Louis” is the late but great Jean-Louis Palladin of Jean-Louis at the Watergate Hotel, one of the first celebrity chefs to champion John and Sukey’s grass-fed lamb. “Chuck” is Chuck Williams, the founder of Williams-Sonoma, who after a chance meeting at a breakfast buffet, gave the Jamisons’ fledgling mail order business invaluable momentum by featuring their meat in his catalogs. And “Julia”—she really needs no introduction—invited the couple to her Cambridge, Massachusetts, home to talk shop and drink wine. Yet, the Jamisons—who knew nothing about farming when they started out—are so humble, so down-to-earth, so easy to talk to. 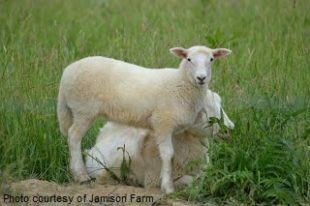 Unless they’re in the pasture with the animals, at their own USDA-certified meat processing plant, attending food-related events, feeding the herding dogs, or greeting customers, the Jamisons answer their own phone. Respond to their own e-mails. Take a personal interest in you and your ovine needs. If you want to put this amazing lamb on your holiday table, Sukey has graciously shared one of the family’s favorite recipes. (Order early! The meat is shipped fresh to order.) Even if you opt for ham this Easter, we urge you to try the mustard sauce. The Jamisons use this mustard sauce as a marinade or sauce for rack of lamb, lamb loin, and lamb sausage. 2. Season the leg of lamb with salt and pepper, then slather with the mustard sauce. 3. Set up your grill for indirect grilling and preheat to medium. When ready to cook, brush or scrape the grill grate clean and oil it well. Place the lamb on the hot grate, away from direct heat, and close the grill lid. 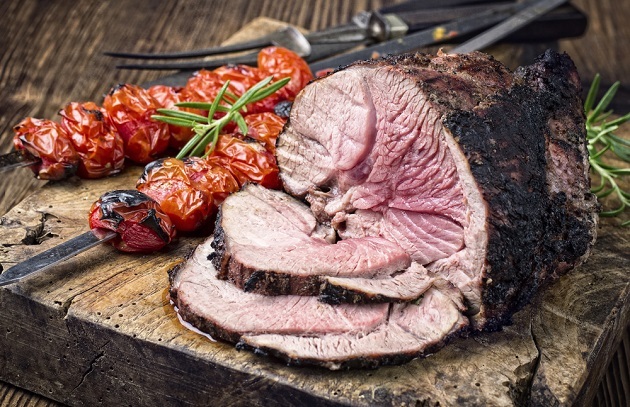 Grill for 1-1/2 to 2 hours, or until the lamb is cooked to your liking (135 to 140 degrees for medium-rare). Let rest for 15 minutes before carving. Serve with the remaining mustard sauce, if desired.